Howard Ullman, Of Counsel in the San Francisco office, is a member of the Litigation and the Antitrust and Competition Groups. He focuses his practice on competition and antitrust law, trade regulation, unfair competition, class action and complex litigation issues. He has extensive experience advising on distribution law and distribution system issues (including competitor collaborations, pricing issues, non-price restraints and dealer termination issues). He routinely addresses and counsels on the antitrust / intellectual property interface. Howard represents Nanya Technology Corporation and Nanya Technology Corporation USA in the national DRAM antitrust price-fixing cases. Other price-fixing experience includes representation of a defendant in the DRAM antitrust price-fixing litigation and a large purchaser in connection with the SRAM antitrust price-fixing litigation, and representation of companies in alleged school milk and paint pigment cartels. He has also worked on antitrust cases for PG&E Corporation, Equifax, One Technologies, and a number of other companies. He regularly counsels companies on competition issues, including Robinson-Patman Act (price discrimination) issues and market concentration issues. He has worked on a number of Cal. Bus. and Prof. Code Section 17200 (unfair competition) litigations. He has also worked on a number of antitrust-healthcare related matters, including mergers and acquisitions. 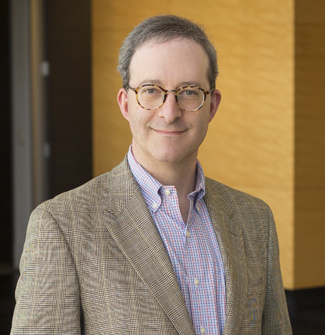 Howard has worked on antitrust cases in the life insurance industry and for Microsoft Corp. in connection with intellectual property issues. He recently finished cases for a supplier of industrial equipment (commercial scales) and involving below-cost pricing in the retail gasoline industry. He also recently worked on a Section 2 case for a pool products manufacturer that resolved favorably. Several months ago, we reported on the potential to protect trade secrets by encrypting information using blockchain technology. Then, earlier this month, we reported on an order out of the Southern District of California involving “CryptoKitties,” a decentralized application (or “DApp”) built on the Ethereum blockchain (using the ERC721 protocol) that allows users to securely buy, sell, trade, and breed genetically unique virtual cats. While the potential to protect trade secrets using blockchain technology is clear, the reasoning in the CryptoKitties order raises questions regarding whether blockchain technology could constitute a trade secret in and of itself or when combined with other concepts or business methods pursuant to Federal and California law.